One of the best electric guitar values for over a decade, Yamaha Pacifica guitars are well known for great tone and outstanding playability. The Yamaha Pacifica Series feature comfort-contoured bodies, bolt-on neck designs, vintage-style vibratos, and 5-way switching of the H-S-S pickup configuration. 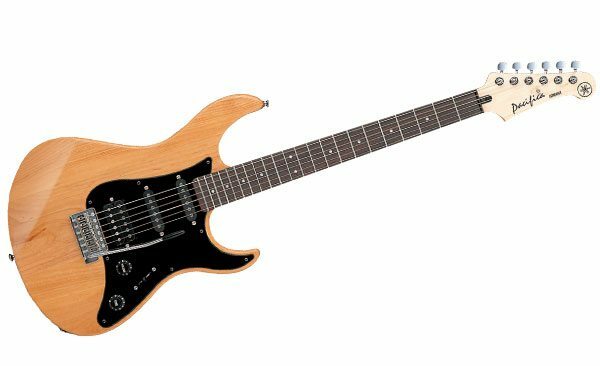 The Yamaha PAC012 guitar has a solid Agathis body. It has comfortable neck, fast action, versatile HSS pickup configuration and 22-fret maple neck with Sonokeling fingerboard for easy playability. Also this guitar features vintage-style chrome tremolo, die-cast chrome tuners and white pickguard. 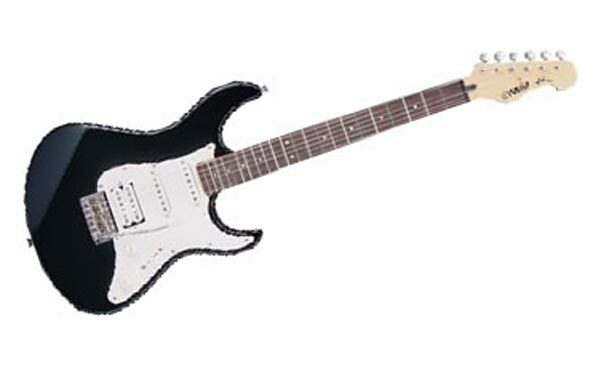 The Yamaha PAC012 is an excellent first-time electric guitar at an affordable price. The Yamaha Pacific PAC112XJ guitar has a solid alder body for great tone, 22-fret maple neck with rosewood fingerboard for easy playability. Single-coil pickups in the neck and center position combine with a bridge humbucker to give you a vast array of tonal possibilities. If you’re a cost conscious musician who needs a good guitar at a great price, the Yamaha Pacifica PAC112XJ is your guitar. The Yamaha Pacific PAC112J guitar has a solid alder body for great tone, 22-fret maple neck with rosewood fingerboard for easy playability. Single-coil pickups in the neck and center position combine with a bridge humbucker to give you a vast array of tonal possibilities. Also features vintage-style chrome tremolo, die-cast chrome tuners, and white pickguard. 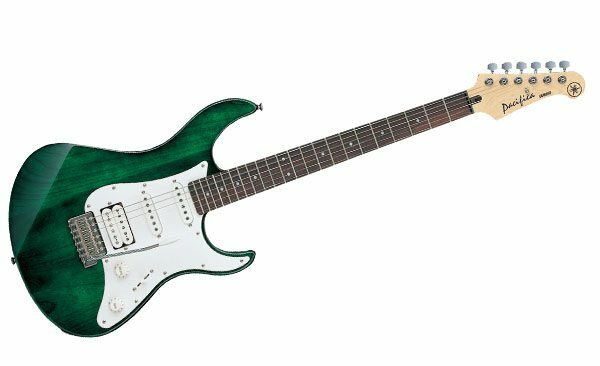 If you’re a cost conscious musician who needs a good guitar at a great price, the Yamaha Pacifica PAC112J is your guitar. All musicians are beginners at one point. What counts is starting with an instrument that can grow with you. The EG112 series of guitars is just that – a high quality instrument that even a professional can appreciate. Everything you need to start playing and learning is included. 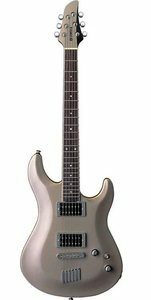 Yamaha EG-112PF Electric Guitar features maple neck and rosewood fingerboard, 2 single-coil pickups, 1 humbucking pickup, 5-position pickup switch, tremolo bar and chrome hardware. This is the perfect starter kit for the aspiring guitarist. Yamaha’s new RGX series embodies hard-edge design and ultimate playability. The new RGX520FZ and RGX320FZ are Yamaha’s first true double-cutaway set neck guitars with features and appointments typically found only on custom guitars. The RGX320FZ features an elegant carved top with body binding, a mahogany neck with a bound rosewood fingerboard, 3-D headstock design, two Yamaha humbucking pickups, and chrome hardware with Yamaha’s signature tailpieces. The RGX520FZ upgrades to a gorgeous figured maple top on a solid mahogany body, a custom inlay at the 12th fret, and beautiful translucent finishes. The all new RGX A2 electric guitar is a marvel of modern technology. The proprietary A.I.R. (Alternative Internal Resonance) construction body, LED lit cylindrical diecast knobs, lightweight barrel tuners, and Yamaha Alnico soapbar pickups make this a high tech masterpiece that is not only stunningly beautiful, but tonally revolutionary.